Rather than the nuclear elimination Baruch had hoped for, the decades following his proposal saw a Moscow-Washington arms race that consumed trillions of dollars of investment, a gamble that each additional weapon would enhance deterrence and thereby increase security. At the peak, the 1980s, the Soviet Union and the United States housed a collective arsenal of roughly 60,000 bombs. Over time, the superpowers conceded that yet more weapons athe vast inventories in place did not go hand in hand with more security. Limitations and reductions substituted for buildup as a series of treaties and unilateral steps dramatically reduced the stockpiles. Today Russia and United States each retain roughly 6,000 deployed and stored devices. Yet for today’s public, nuclear weapons remain largely out of mind. Hiroshima and Nagasaki, notwithstanding the historic Obama visit, are barely in the consciousness of the current generation with the Baruch Plan lost in time. The fact that no country has used the bomb since World War II has inured many nations to the danger. Memories of near misses during Cuban missile and Berlin crises, Indo-Pakistan wars, and border conflict between Russia and China remain incidents for the history books and little more. Nuclear-armed nations have suffered defeat or near defeat – the United States in Vietnam and Korea, the Soviet Union in Afghanistan and Israel in the 1973 war as Syrian forces dug deeply into the country’s north – without turning to nuclear weapons. 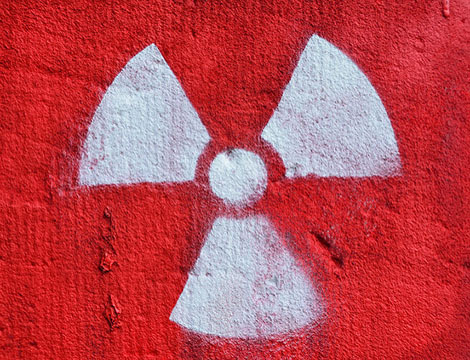 A presumption emerged that a nuclear-use taboo overwhelms any inclination toward nuclear use. This brings us back to the Baruch Plan, a practical idea even for today. The elimination of nuclear weapons and capacity in three countries – South Africa, Belarus and Ukraine – offer proof of performance that weapons can be eliminated. Such elimination may seem implausible for countries without undergoing dramatic domestic change. Even in the immediate shadow of Hiroshima and Nagasaki, the effort at abolition failed. But the response may be more vigorous after a thermonuclear attack with dramatically greater consequences, subject to the CNN effect, showing the devastation over and over again. Or the world could lose basic services and go numb. Bennett Ramberg served as a policy analyst in the Bureau of Politico-Military Affairs in the George H.W. Bush Administration and is the author of ‘Nuclear Power Plants as Weapons for the Enemy’ as well as other works.